Roddy McDowall flees from behind the Iron Curtain in THE STEEL FIST (1952), just released on DVD by the Warner Archive. I was unfamiliar with this film when the DVD release was announced, but I was immediately interested when I saw the film costarred Kristine Miller, who coincidentally was just reviewed here in Kino Lorber's new release I WALK ALONE (1947). Miller plays Marlina, who works along with her brother Franz (Harry Lauter) as part of the underground in an unnamed Communist country. When college student Eric (McDowall) must flee over the border after starting a protest, he's put in contact with a shadowy network who guide him step by step toward safety. Marlina and Franz shelter Eric in their small village, with Marlina keeping lovestruck Capt. Giorg Nicholoff (Rand Brooks) at bay until Eric can escape over the mountains. That's pretty much the entire plot of this 73-minute movie, a Monogram Pictures film which was clearly made on a minuscule budget. Despite the low budget and simple story, I found it quite gripping and enjoyable, even if Eastern Europe looks suspiciously like Iverson Ranch. The lead actors are all good and do a great deal to sell the story. They believe it so we do too. 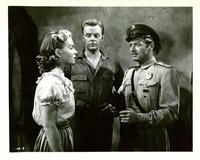 Miller is always a persuasive actress, and this is a nice good-sized role for Lauter, who is particularly memorable when he's forced to "dispose" of a wounded soldier who has spotted Eric. McDowall, incidentally, made half a dozen films for Monogram, including the previously reviewed BLACK MIDNIGHT (1949). 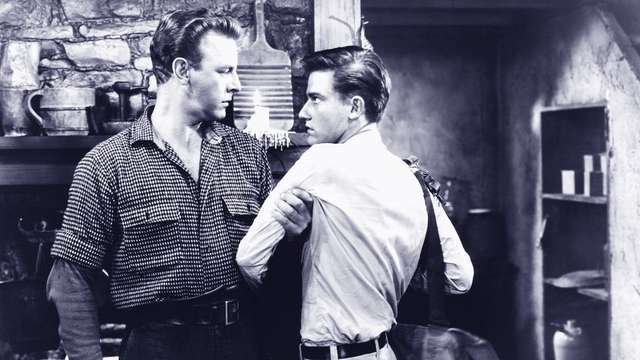 Though sometimes derided today as "Red scare" films, melodramas such as this, THE IRON CURTAIN (1948), and NEVER LET ME GO (1953) served a useful purpose then and now, reminding viewers that freedom and Communism (or its spinoff, today's "trendy" socialism) are always inevitably incompatible. 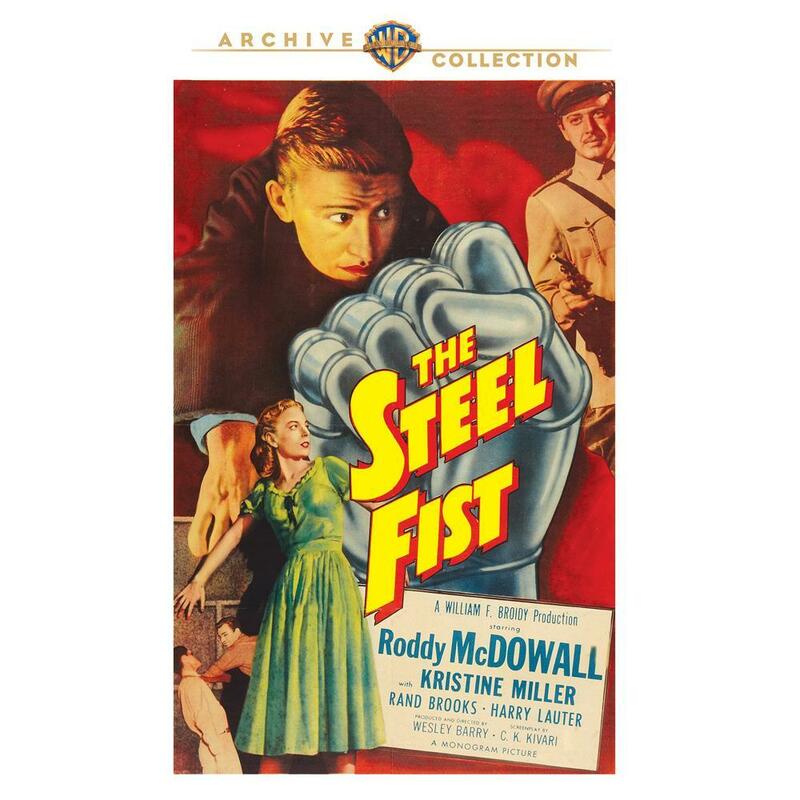 THE STEEL FIST was directed by Wesley Barry and filmed in black and white by William A. Sickner. There's nothing fancy about this straightforward film, with bare bones sets and ordinary-looking photography, but it gets the job done. I liked it and am glad I had the opportunity to check it out. 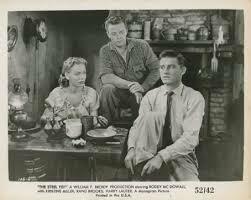 The Warner Archive DVD is an excellent print. There are no extras. Red Scare films were good to have -- the reds were scary. And apparently, so are the modern Russians is certain sweet politicians are to be believed.